It’s always a bummer when you go through a bunch of REALLY good books that you love and then read one dud after another. I read some poor books, a few that were just so poorly written and boring that I gave up and stopped wasting my time with them. Then I found another batch of some good reads. This post is a few of my favorites lately! This kept popping up online and on book lists so I put it on hold at the library. It was a nice change in reading topic for me after reading a bunch of mysteries and some nonfiction books. I didn’t know much about this book when I started reading it and honestly, I thought it was a YA book…My first thought was “this is the first YA book that actually reads like a YA book!” (The Hunger Games and Divergent series didn’t read like teen books to me and as an adult I enjoyed reading them.) Then I looked online and yeah…it’s NOT a YA book… Ooops. So the one downside to this book for me was that the writing style see-sawed between feeling very juvenile and feeling a bit over my head. The story is about an astronaut that accidentally gets left behind on Mars during a mission gone wrong. I don’t to give away too many details and spoil it. But there were definitely times the book got really scientific and my eyes started to glaze over. Despite the disparity in writing style, I really really liked this book. It was exciting and had me on the edge of my seat so many times! 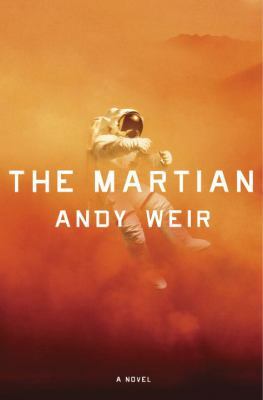 The story is about the astronaut surviving on Mars for like 2 years. The stuff he goes through is mind-boggling and it’s definitely a different kind of “survival” story! I also see that it’s being made into a movie with Matt Damon and Kristin Wiig! I am super excited about the movie! The book read like a screenplay more than a novel for me. I got sucked into this book on page one. I absolutely loved the author’s writing style and voice. It’s part memoir and part biography of his mother. His mother’s parents came to America from Poland in the late 20’s. Her family was Orthodox Jewish and her father was a rabbi, her mother was handicapped due to polio. She fell in love with a black man and ended up having 12 children. The story is about her life in Queens, the only white woman around. The author describes growing up in this environment in the 60’s, not understanding why his mother looked different. 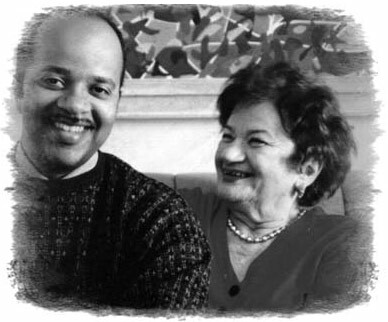 The book is told by McBride but alternating chapters that are told by his mother. His mother’s family eventually moved to the south where she encountered the KKK as a child. She got pregnant in the South in the 1936 and left for New York to live with her extended family. It sounded like they were upper-class (much wealthier than her other family) and her aunt got her an abortion in Manhattan. She later met her husband whom she had 8 kids with, then when he died she remarried a few years later and had 4 more kids. She was a smart lady. All her kids went to college and eventually became professionals–doctors, nurses, teachers…impressive! The author talks about his stepfather with so much love and admiration he just sounded like such a wonderful man–a kind, gentle man who took on 8 kids that weren’t his but treated them exactly the same as the four additional kids the couple had. Ruth was a feisty, neurotic, loving woman and I loved every single page of this book. Out of 5 stars I’d give it a 10. I can’t describe how much I loved this book. I didn’t want it to end–I wanted to keep reading more about Ruth’s amazing life. Trust me, read this book and you’ll feel a warm glow! It’s such an uplifting book, despite the hardships they all went through. Amazing, amazing book. Oh.My.God. Don’t read this book at night. Don’t read this book in the dark or when you are alone! I’m not sure how this book got on my radar but I’m really glad it did. It was such a dark, unique, scary book and it was definitely one of those “stay up too late reading” kind of books and then regretting it when you are too freaked out to go to sleep! The book is being compared to The Road and I definitely saw some similarities. It also reminded me of a book my book club read last year, Blindness, where there’s a “virus” that makes everyone blind. So this book is post-apocalyptic but it’s different than the typical book in this genre. Around the world people are being “changed” by something they see. Maybe it’s a creature, or something else, no one knows. But when they see this THING, it infects them and they become psycho-killers that kill their loved ones and then “self-destruct.” The solution to this was for people to go into hiding and wear blindfolds whenever they go outside. Malorie is the main character. Her sister dies when she self-destructs and Malorie flees to a safe house where she lives with a bunch of other people. The windows are blocked, they only go outside blindfolded to get water from the well and they live in this house for awhile, unaware of what is going on outside. Malorie and one other woman in the house are pregnant, too. Fast-forward four years and suddenly Malorie is alone with two small children and for some reason they need to leave that safe house. For years she’s trained the kids to fine-tune their hearing skills and they always wear blindfolds. They flee from the house and get in a rowboat on a nearby river and are rowing somewhere (you don’t know where for a long time) blindfolded. They hear the creatures, they hear everything, but never see what is going on. 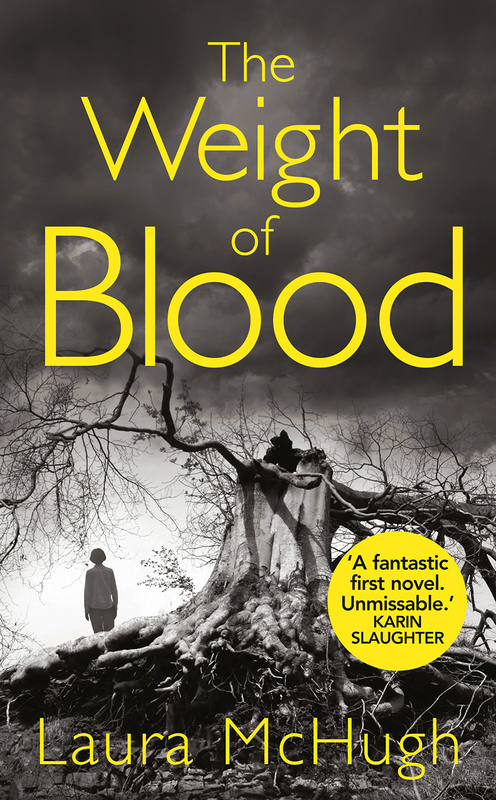 It’s haunting and chilling and trust me when I say, don’t read this book in the dark! It’s freaky! The story takes place in the Ozark Mountains when a developmentally disabled girl is found dead after being missing for almost a year. The main character, Lucy, is a teenager and was Cheri’s only friend. She spends her summer trying to solve the mystery of what happened to her friend, whom no one seemed to care about, and the mystery of her own mother’s dead when she was a child. The chapters alternate between present time, told by Lucy, and her mother Lila’s story. The book is a page-turner and while the subject matter is rather dark (human trafficking and murder) it’s a good story. The characters were well-rounded and well-written. The story kept me wanting to read more. This is the author’s first novel and it’s a good one! Years ago I read “In the Sanctuary of Outcasts: A Memoir” about the leper colony in Louisiana. It was an excellent book and I definitely recommend you read it if you’re looking for some history and information about leper colonies. I really didn’t know much about the disease or the history of it and years later when I went to Maui for our honeymoon a kayak tour guide told us stories about the leper colony on Molokai. I had no idea the island had been a colony! 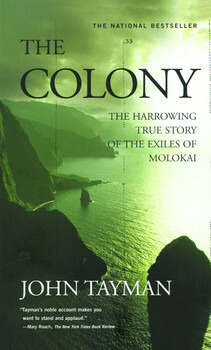 This book is the story of how the lepers in Hawaii were shipped to Molokai–essentially arrested and treated as prisoners–with basically nothing. The inhabitants built up a village and community, a place where they could live freely without judgment from people who were afraid to go near them. Even though they were prisoners, many of them thrived on the island. The segregation started in the late 1800’s and the Catholic church even sent a priest, Father Damien, who eventually ended up contracting leprosy, died in 1889 at the age of 49 and became a Saint as a result. Kalaupapa was named a national park in 1980, yet people still lived in the colony into the 2000’s. The book tells the story of how the island came to be, the fear and persecution people felt, the community they built up on the island, and the author told the stories of some of the major characters. The famous patient Olivia Breitha, who wrote her memoirs, said: “Even if my skin is insensitive,” she once wrote, “my heart and soul are not”. Makia Malo, who was sent to Kalaupapa in 1947 when he was 12, is one of the patients who a found life on the outside of Kalaupapa. Leprosy stole his sight and the feeling from his hands which prevented him from learning Braille, but he was a gifted storyteller and even became a professor. Malo moved to Honolulu and enrolled at the University of Hawaii at age 37 and even found love with someone who did not have leprosy. It was a sweet story. It was hard not to feel the pain of the prisoners. It was reminiscent of reading about Nazi camps and Japanese internment camps…And then in the 1980’s there was actually a politician that wanted to send the AIDS patients to Molokai just like they did with the lepers. So horrifying! Despite the sad subject, it was a good book and the story was about survival and redemption. For some reason this book reminded me of the movie Little Miss Sunshine. The book was about a struggling single mom, Jess, who had two kids (the teenage boy being bullied by the neighbor boys) and a daughter who is a math whiz. She’s working multiple jobs to make ends meet and her deadbeat husband has taken off. The daughter has the opportunity to get a scholarship for a private school that specializes in math. Even with a scholarship they can’t afford it. Until she has a chance to win some money doing a math test in Scotland. With the help of a man Jess meets, they drive from London to Scotland for her daughter to take the test. Of course the worst things that could happen, happen. I don’t want to give away the ending because it was really sweet but it was a good book! Not sure where to begin with this book. It was really, REALLY good but so dark and at times really hard to read. The topic was domestic violence. The main character, Cathy, tells the story of her life before and her life now…each chapter alternates between THEN and present day. She meets this dashing, dark and slightly dangerous man that all her friends love and think is perfect. Lee is mysterious but romantic and she’s sucked into his world quickly and then suddenly she’s overcome by him. He literally takes over everything and the story of the descent into a domestic violence situation is truly scary and sometimes hard to read. You don’t get the whole story right away, it’s told in bits and pieces. The “present day” story is about Cathy’s recovery of being kidnapped and nearly killed by Lee. He’s been sent to prison for it, she moved and changed her identity, but she lives in fear every moment of her life. This story is about her fear, her terrible OCD and paranoia. This is also hard to read but there is some hope, some hope that she is going to recover and her life will get better. Then Lee gets released. The second half of the book is still telling the story of what Lee did, but it’s also about her realizing that Lee is back and has found her. Again, a very dark book, but it was a good one! I couldn’t stop reading it. 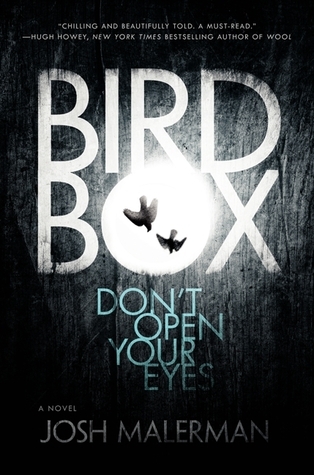 I loved Bird Box and it was actually your review on Good Reads that got me to read it! So creepy. I am going to have to add a few of those books to my list. So glad you liked it! I loved that book! So unique and creepy. Oh, several of these sound really good – especially The Color of Water. I added a lot to my list – thanks for the reviews!! Kim recently posted..Skinny or Strong? 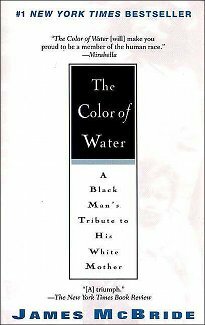 The Color of Water is actually one I’d buy and read again. Glad for the additional selections to add to my hold shelf at the library – thanks, Lisa! CARLA recently posted..In favor of snap judgements.